Whether you are in the midst of a discernment process in the Church of England, or from another church background considering how you might best prepare to lead a church or ministry, with all the options before you, why should you consider Trinity? Within our community, we seek to provide an integrated educational experience. 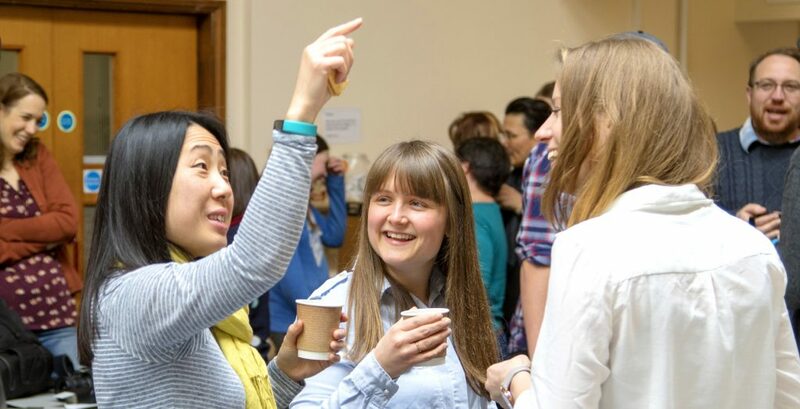 As you learn from the Bible and interact with our faculty, as you engage in church and other placements alongside fellow students and a mentoring church leader, as you practise spiritual disciplines together with the rest of the community—you will grow as a whole person seeking to follow Jesus and bear witness to his coming kingdom as a missional leader. We will not prioritise your academic experience over your context learning, or your context learning over your lectures. We blend challenging study and context experiences together for holistic growth. What we gain by studying in community together is a deeper engagement in every area. Lecture discussions spill out into coffee times. Your tutors aren’t only in your lectures but are eating lunch with you, meeting in smaller groups with you, as well as regularly available for appointments. The students in your pastoral group will serve alongside you in context church placements, and you’ll discuss your questions, ideas, and experiences. We spend enough time together to become more like family than fellow students and to practice living Christ’s Beatitudes together. We learn together how to discuss ideas with respect despite disagreement, how to offer confession and forgiveness to one another when needed, how to grow in unity and our ability to love as Christ loves. When you have moments of struggling or feeling discouraged, our community of tutors, students, as well as our chaplains and staff will be there to offer support for you and your family. We are on this journey together at Trinity—and what we build here with one another is carried on after college as a supportive network of relationships. At Trinity you also gain faculty and staff members who invest in each student individually. We will look at your background and situation and take time to consider the ways in which your time at Trinity could be best constructed to help you grow as a Christian leader. In discussion with you, we will connect you with a context church experience designed to stretch you. We will make sure your classes fit with what you most need to learn academically. If you are pregnant or have recently had a baby, we will work with you around due dates and to figure out with you how to train while juggling the baby’s feedings and care. Taking the step to move in order to train can feel daunting at moments, but if God is calling you to take that step of faith, he will also provide you and your family with what you need to follow him.